I’m 341 times more likely to win the Powerball lottery than find your piece of content. We’ve all heard about content shock (thanks, Mark Schaefer) and the tremendous volume of content indexed by Google. At last count, there were 60 trillion indexed pages, which is double the 30 trillion from 2013. That new piece of amazing content you produced, while awesome, is one of 60 trillion indexed pages. The average odds of winning the Powerball are 1 in 175,223,510. After a bit of math (and checking sites for verification), that makes the average visitor to Google search 341 times more likely to win the Powerball than to find your piece of (amazing) content. 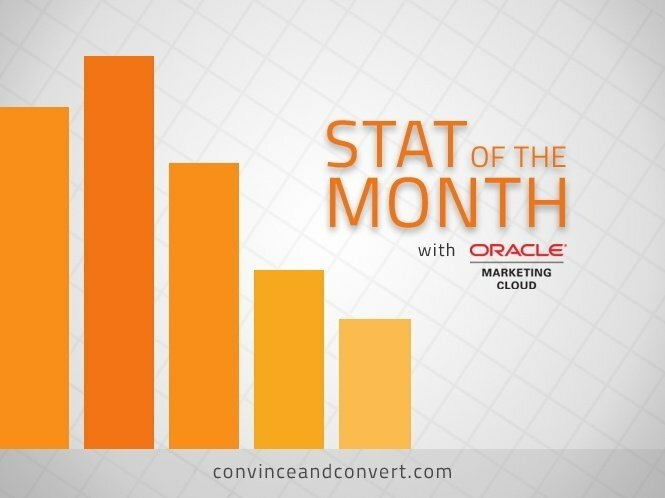 The odds of content success today are daunting. If you’re playing buzzword bingo at home, the phrase Content is king is a fallacy. If there is a king, it is relevance. Assuming I’m even looking for the type of content you produce, the chance of me randomly finding it is extremely low. That content needs to be in front of me. It can be via paid advertisement, a social share, a blog feed, an email, or anywhere I am. This should be a key consideration in any content strategy. Distribution is every bit as important as the actual content produced. Most marketers don’t have a documented strategy, but I’m saving that stat for another post. Content has to be aligned to business strategy and business results. Walking through the process of documenting how content meshes with your business will force you to think about how assets are created, where they live, where they’re shared, what the call to action is, etc. We can also stop chasing the next big thing and focus on actually doing our jobs better. There isn’t a marketer in the world that is executing what they do perfectly. There isn’t a single marketing tool or solution that is used to the best of its ability. There isn’t an asset that couldn’t be a little bit better. There isn’t a call to action that couldn’t be a tad more relevant. Instead of doubling down on what we do, what we’ve done, what we’ve bought, and the objectives we’re trying to obtain, we’re worrying about new tools and answering the idiotic question, “What’s the next big thing?” Will it be virtual reality, wearables, live streaming, or something we don’t even know yet? I’m not quite sure. But I do know that I don’t have futurist in my title, and I have management objectives like driving more business leads and trying to assist in closing revenue. You know, to keep my job and all. There seems to be a growing sense of frustration in the marketing industry around ineffectiveness and lack of results. One simple reason is that most readers haven’t made it this far in the article without checking Facebook, Twitter, Pinterest, firing off a few texts, and maybe even farming some resources in Clash of Clans. Knowing that most of us skim and want bulleted lists, I’ll give that a go. Talk to your customers and understand your audience. Create content that answers questions customers and prospects have. Document your content strategy and how that aligns to business goals. Follow the scientific method with content: Predict, execute, measure, gain insights, repeat. Market your own marketing to make sure all your colleagues use content effectively. I’ve worked in companies with five people, and now I have around 140,000 colleagues. One constant: Marketing is usually only focused externally, though you could experience faster gains by marketing internally. We have a monthly digest email that curates the top pieces of content throughout our organization and is sent to everyone in our business unit. We’re working on relevant metrics and insights to communicate with the team. It is part of my job to share what we’re doing and how it can be used, and to gather feedback to better enable my colleagues in sales. This is very often skipped over. Spend some cycles thinking about how you can better communicate and enable folks inside your company, too. Don’t get yourself caught up in the shiny object syndrome of content marketing, but learn how to strategically approach it by downloading The Modern Marketing Essentials Guide to Content Marketing.